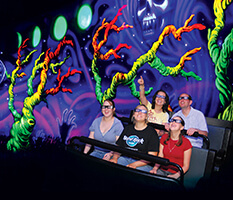 Facility size: 5,073 sq. 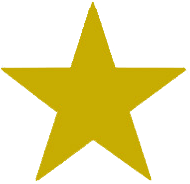 ft., 471 m. sq. 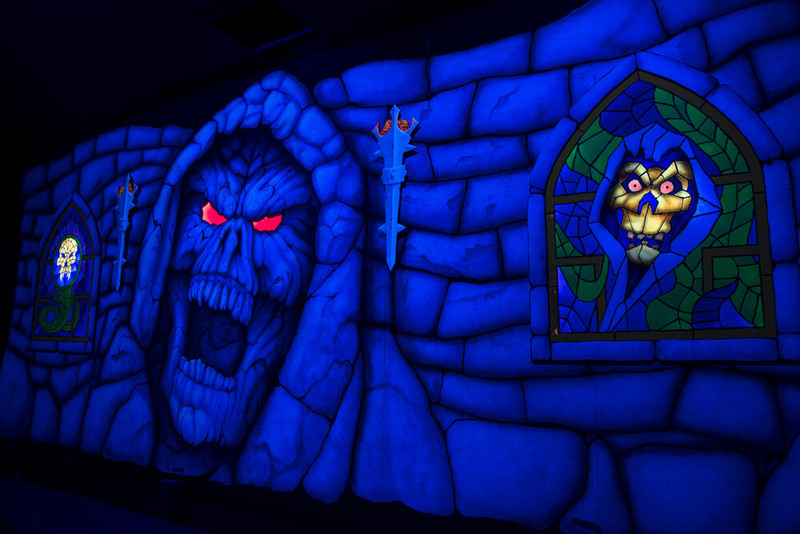 Track length: 363 ft., 110 m.
Boo! 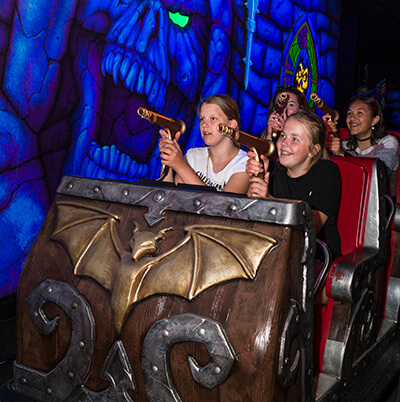 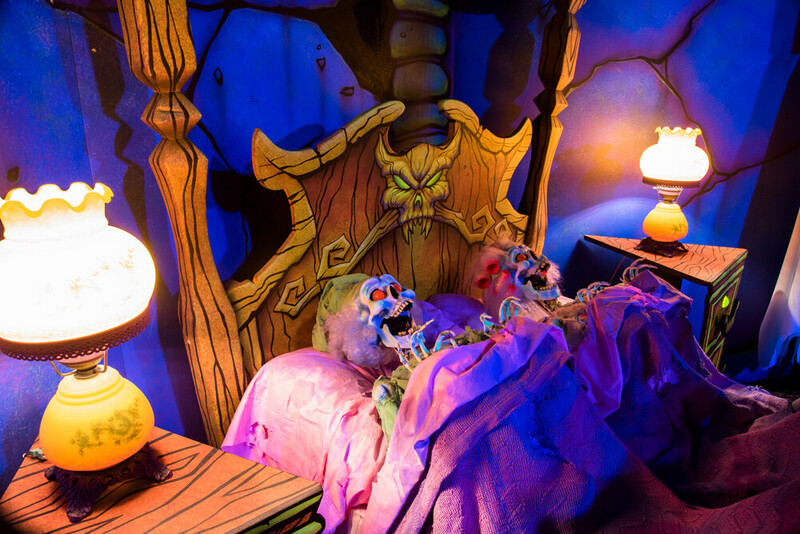 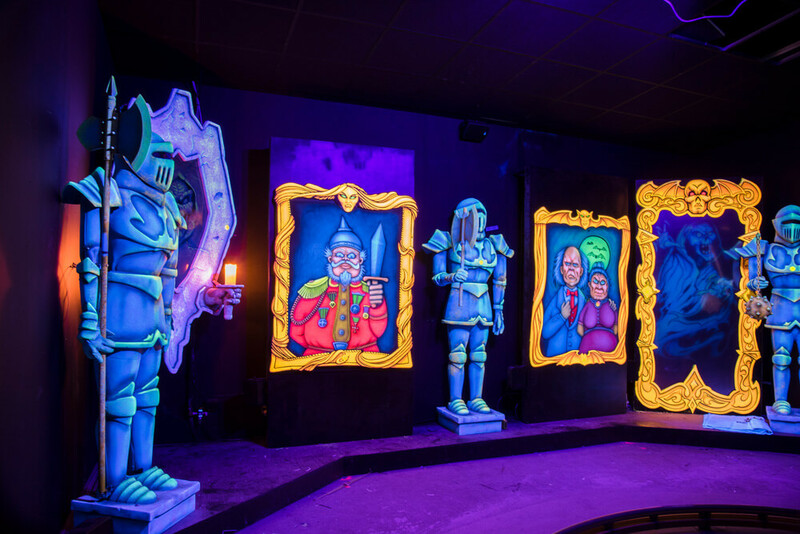 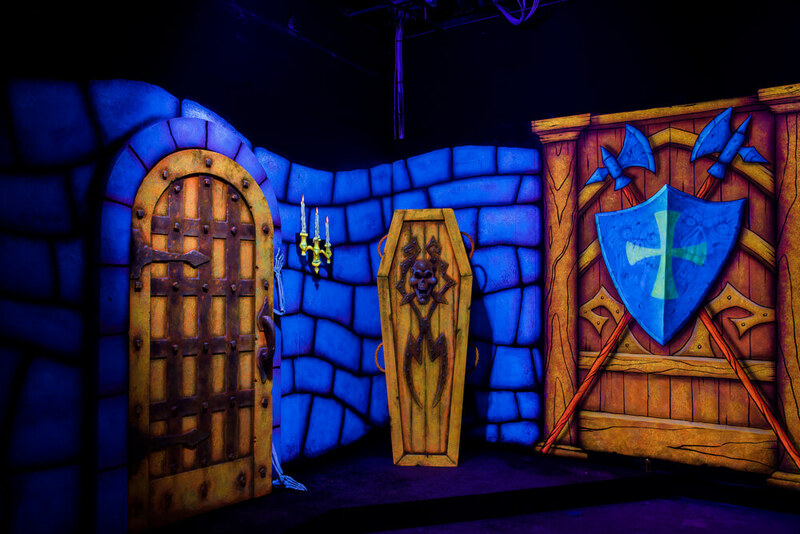 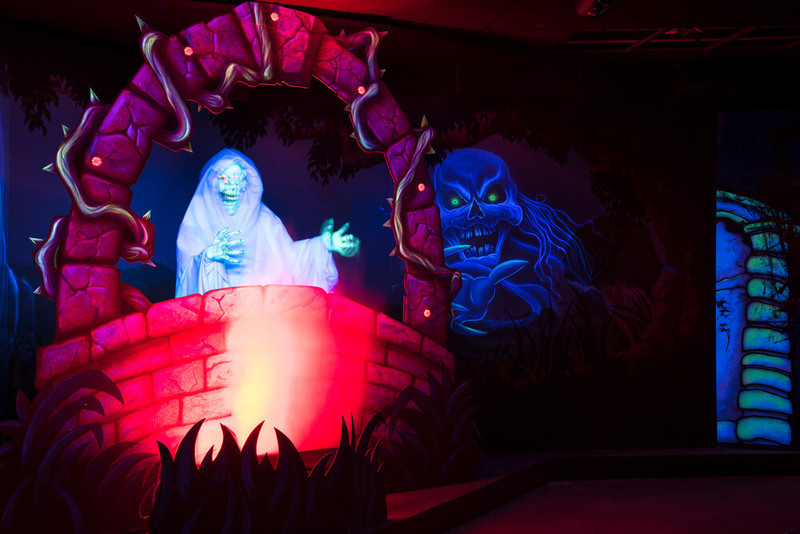 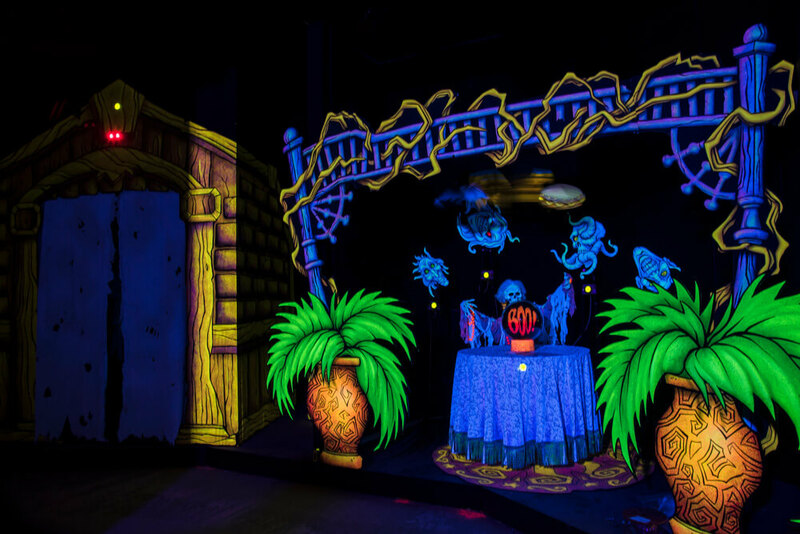 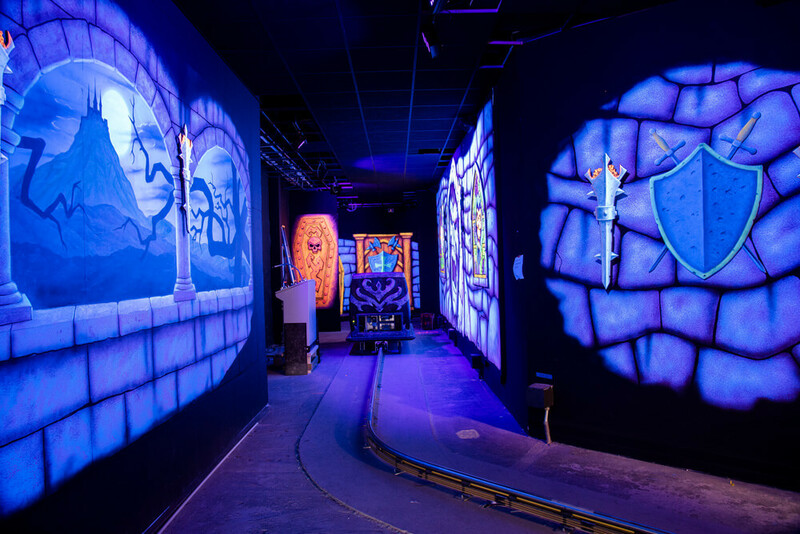 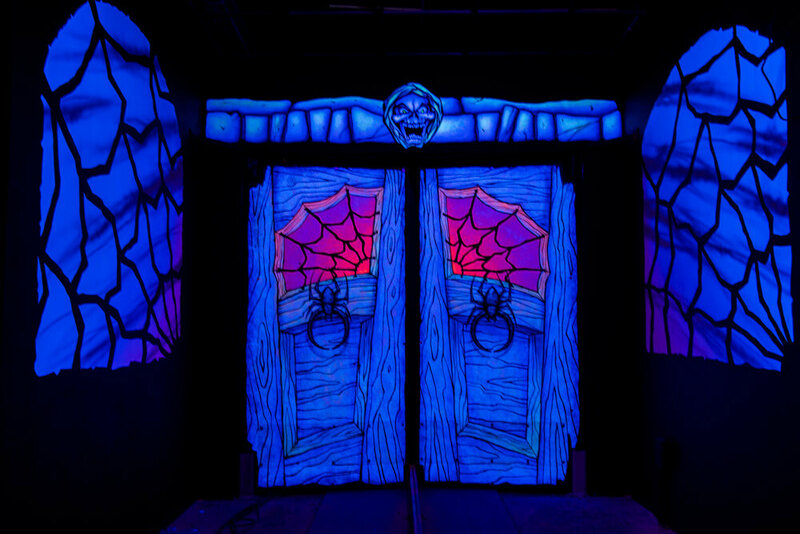 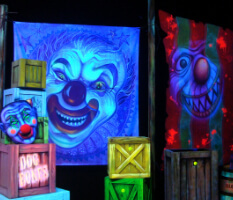 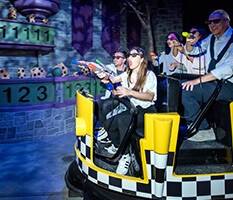 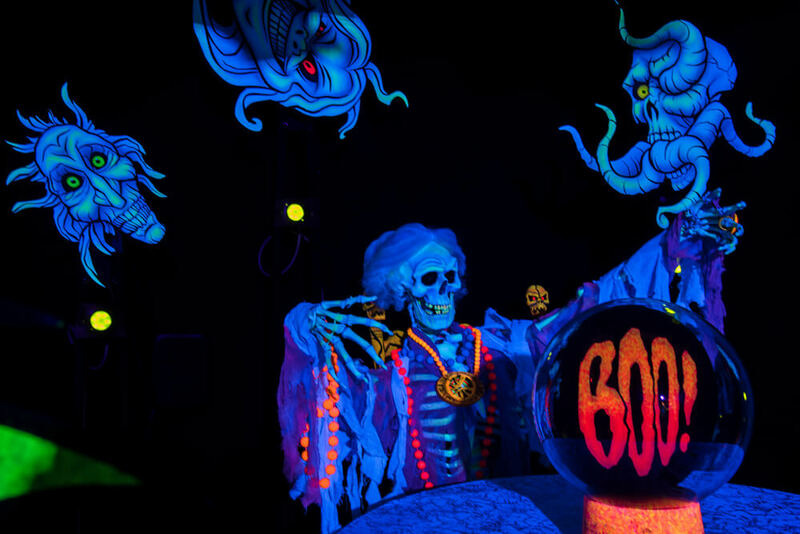 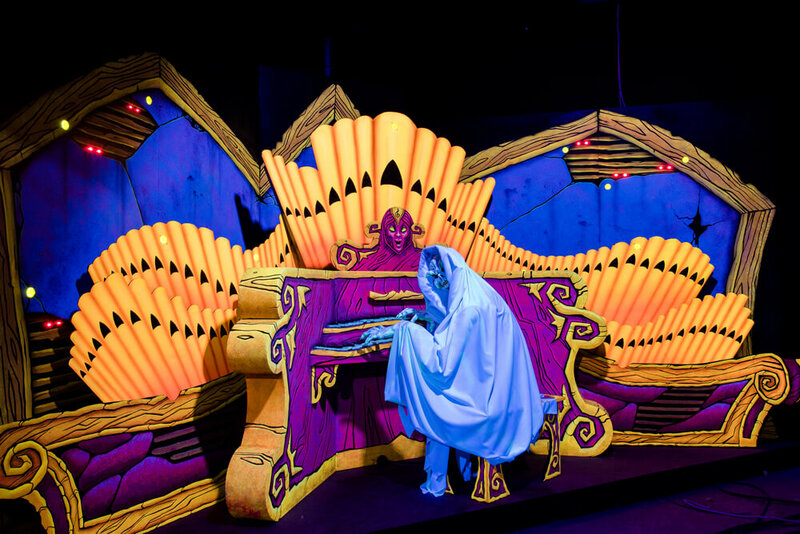 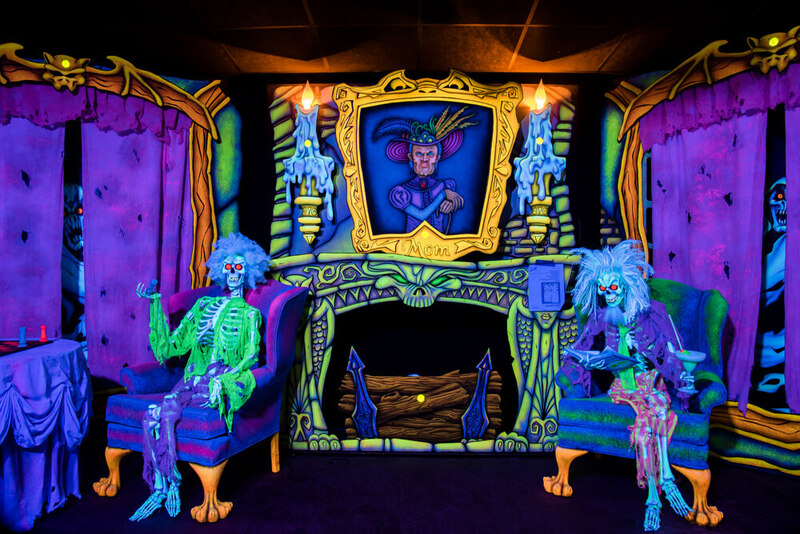 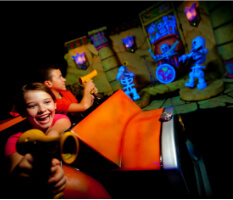 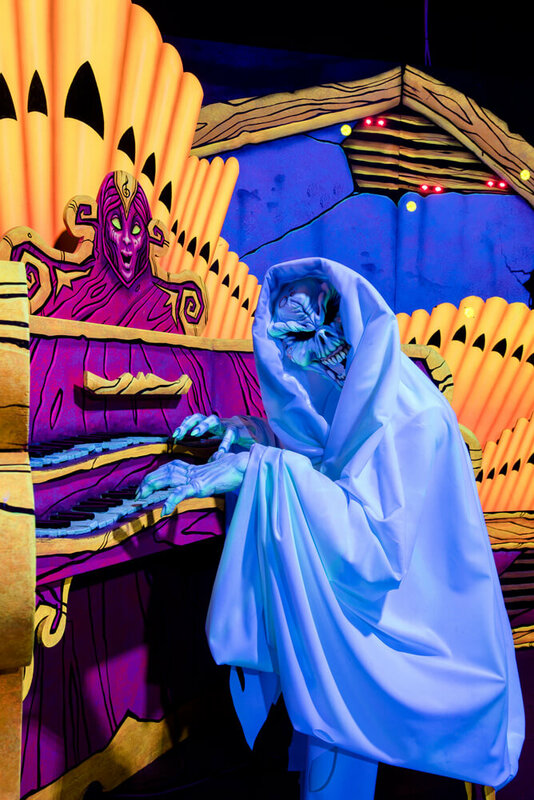 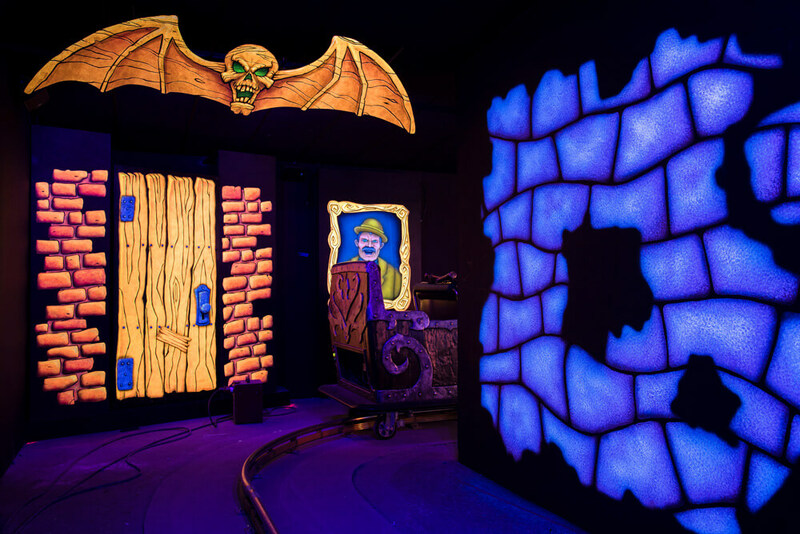 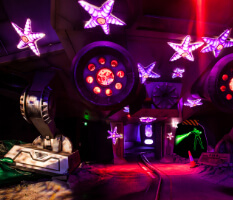 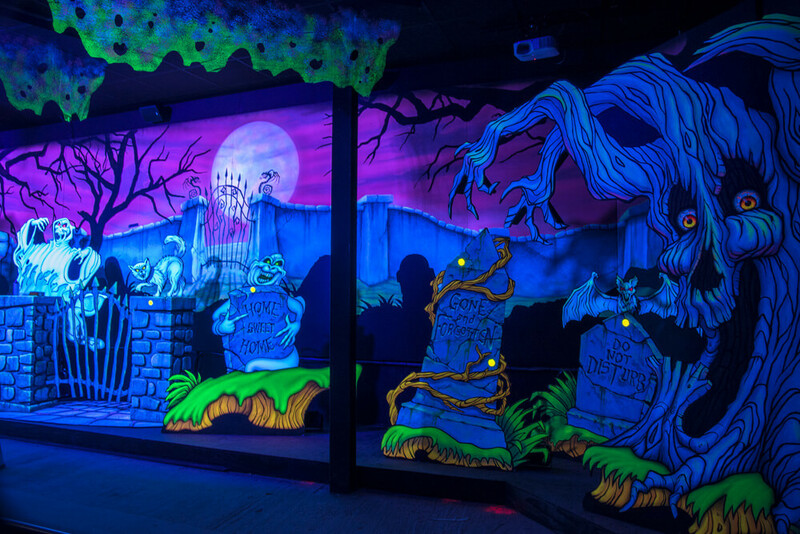 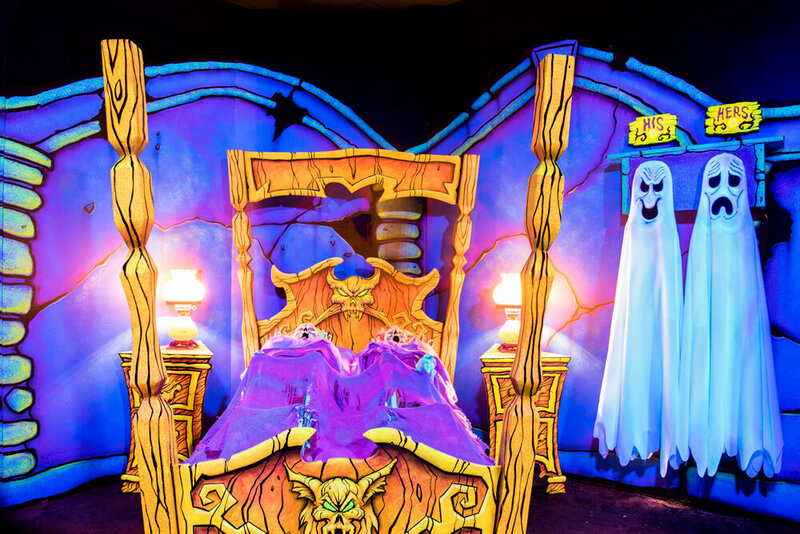 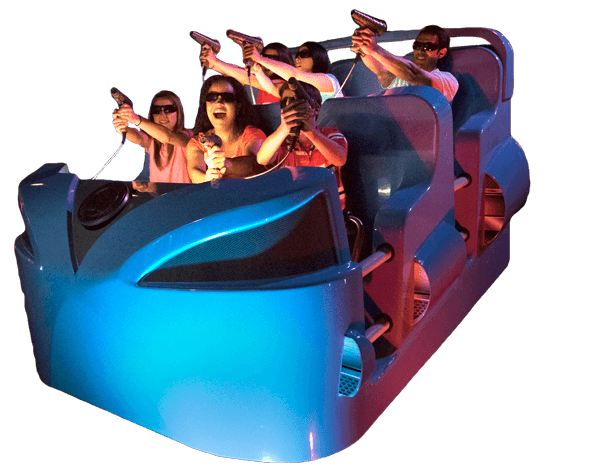 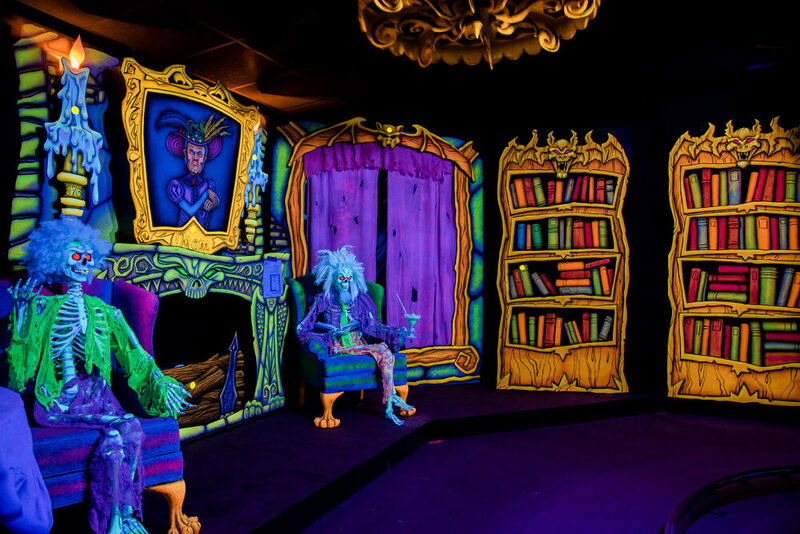 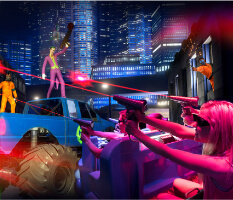 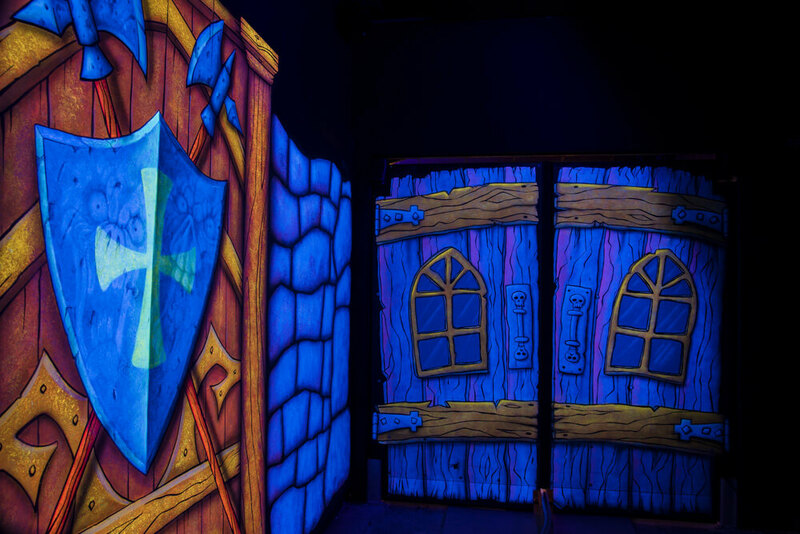 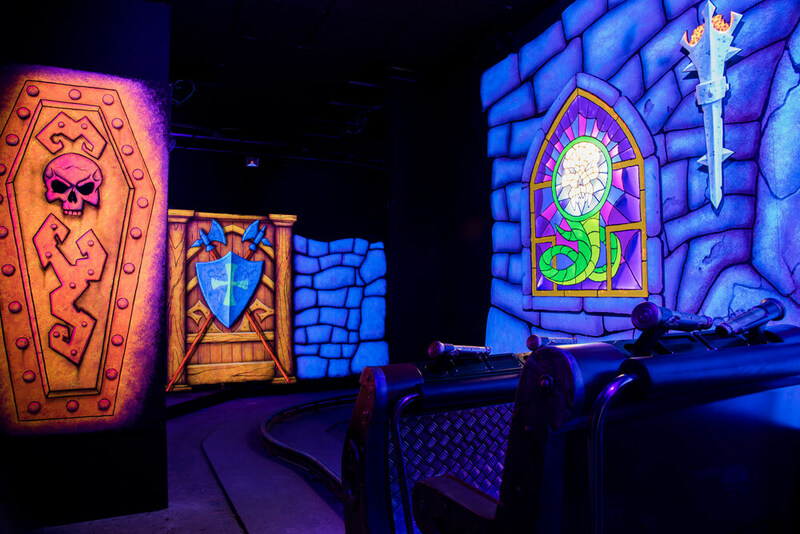 Shining a whole new (black) light on the haunted house theme, Spökjakten is the “fun-scary” ride/game that everyone loves: an interactive family attraction filled with fabulously frightful black light scenery, characters and scarily animated effects. 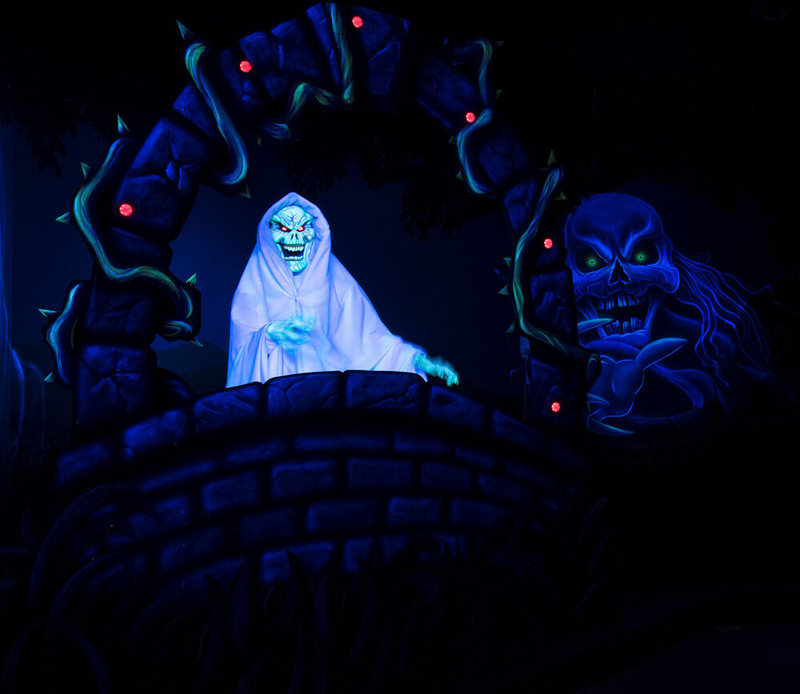 Comical ghosts, skeletons and other creatures of the night are led by the mighty Boocifer. 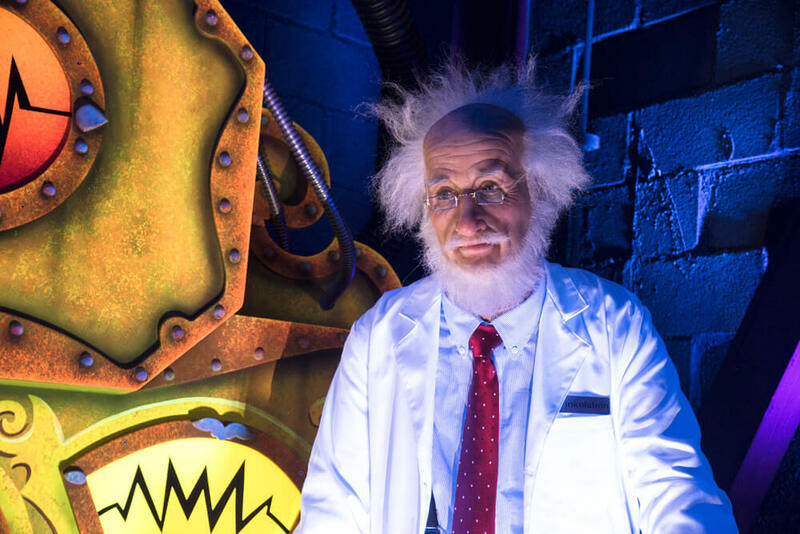 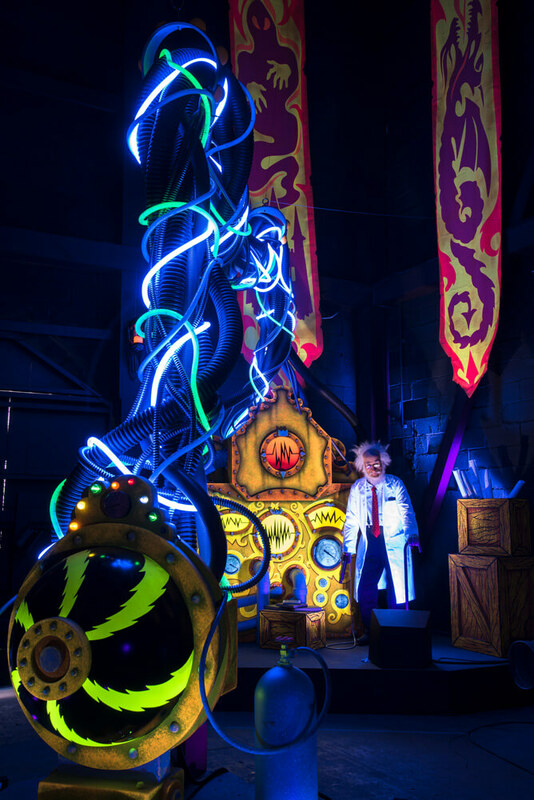 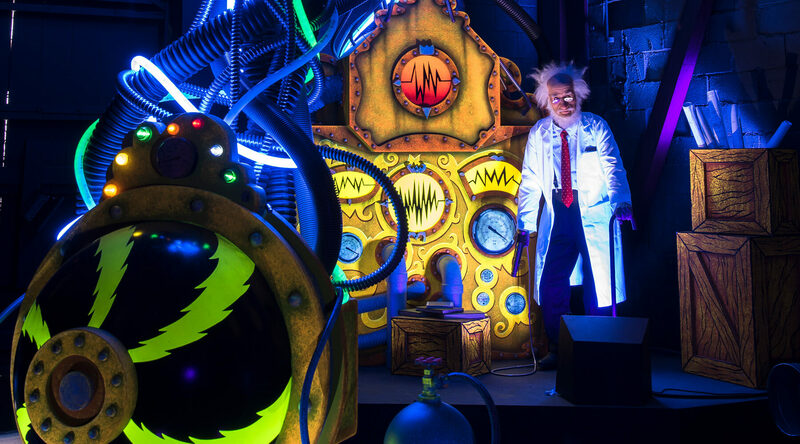 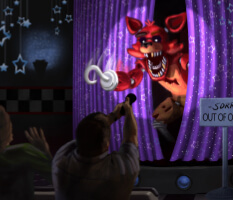 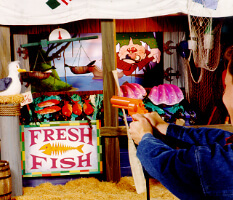 Lively custom theme music and special effects add to the surreal, whimsical spookiness of the experience as you help Professor Finkelstein send the wicked Boocifer and his spirited minions back to the other side of the grave where they belong!